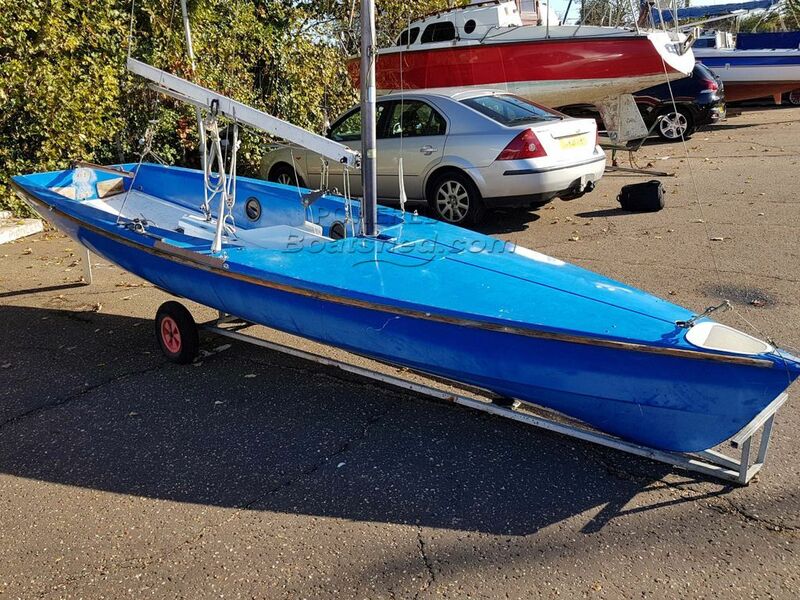 The European Javelin is a popular club racing dinghy, classed at the intermediate level, carrying plenty of sail and facility for a single trapeze. The boat can also be utilised as an open day sailer and could carry a small outboard. This version would benefit from some basic maintenance, but is otherwise ready to sail. The sale includes both a road trailer and separate, launching trailer to complete the package. This Dinghy GRP has been personally photographed and viewed by Chris Markham of Boatshed Essex. Click here for contact details.